For Results,please see the timekeeper's office next door! To register, click the link in the top right corner. 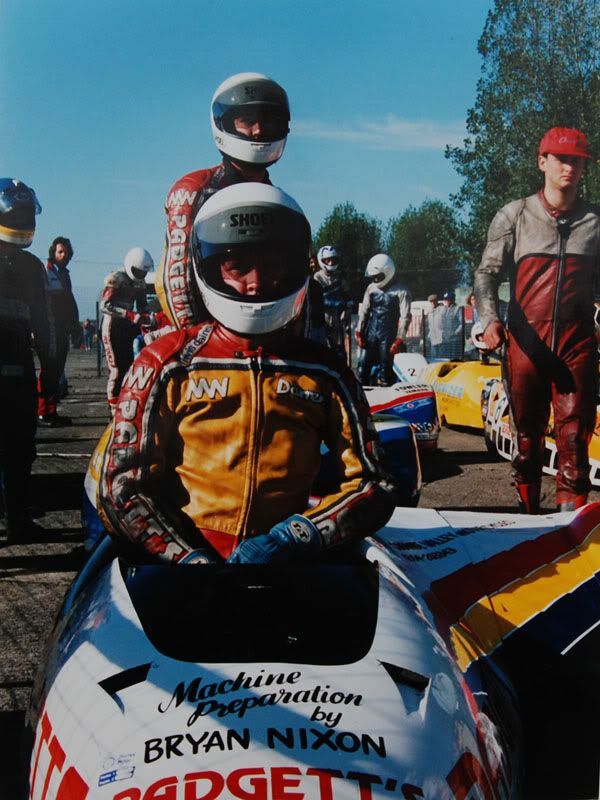 Steve Abbott and Shaun Smith's simply stunning machine..
Gary Knight and Mal Jackson with Guy Scott chatting..., Mark Reddington behind. 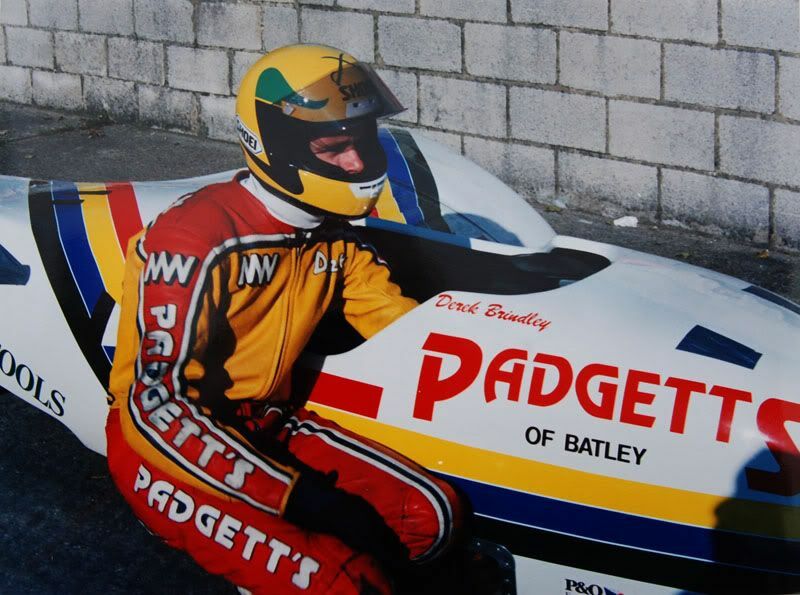 Darren and Sean Dixon on one of a hand full of Padgett supported machines. Keith Whitting warms the Interlink Express machine, with Rob Parker in the chair. Derek Brindley doing the same with his machine. But who are the rest of the lads and lasses on the grid ? 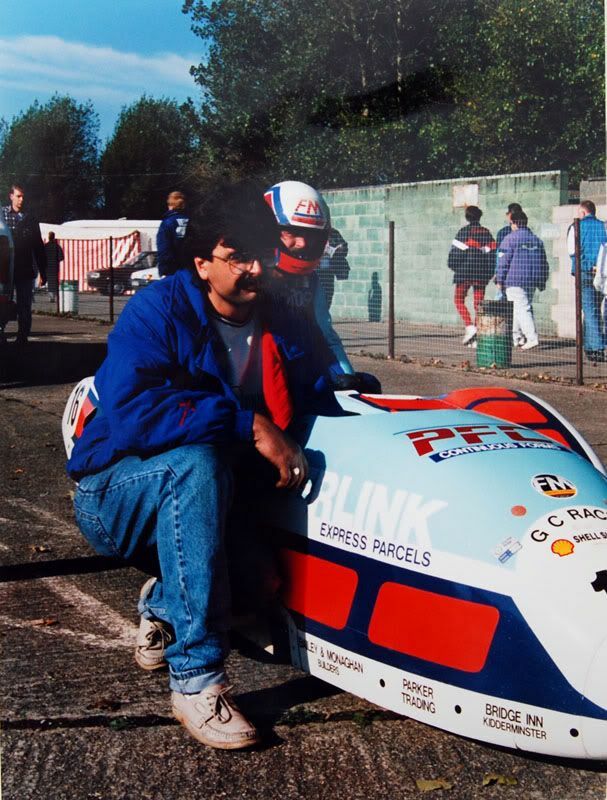 Great Pictures Fritz, there should a "Bring the starts back" petition! I Think its 1992? Webster/Simmons are hidden by the offical, Barry Brindly/Scot Whiteside are infont of them, is it Fisher/Crone at the front? 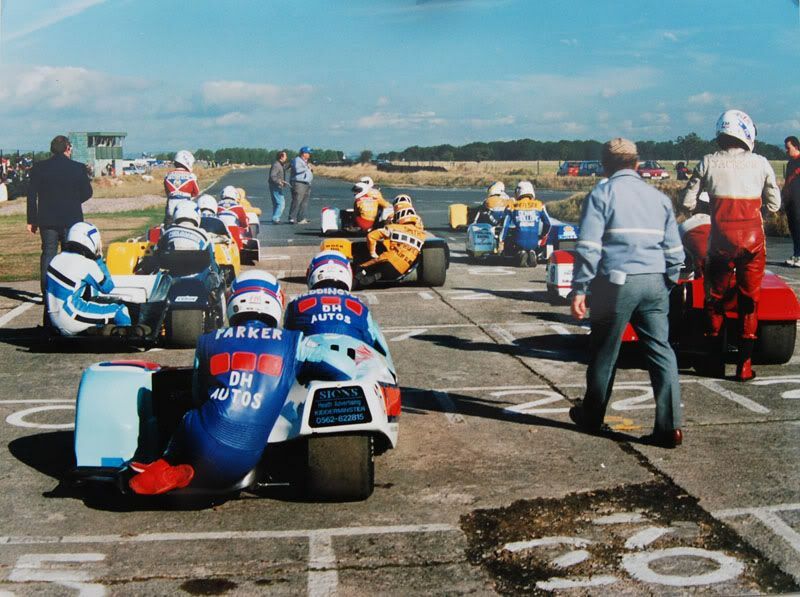 I'm not sure of anybody on the left hand side apart from Derek Brindly on the front row, any ideas? I may be completely wrong here, but I think the blue and white bike on the left is a couple called Steve and Mel (their surnames escape me) I think they lived somewhere near Oulton Park. NickR wrote: I may be completely wrong here, but I think the blue and white bike on the left is a couple called Steve and Mel (their surnames escape me) I think they lived somewhere near Oulton Park. Had to laugh at this I heard somewhere... "You can't polish a Turd"
I remember Andy & Mel, they were from the Crewe area, Cheshire defo. Andy had a bright red streak in his hair before it was fashionable . Mel was a nurse?? I think she worked at Leighton Hospital & nursed Donny Williams back to health after his big off at Oulton with Mick Boddice in 1986. They were sponsored by J & S Accessories of Northwich on a long un. 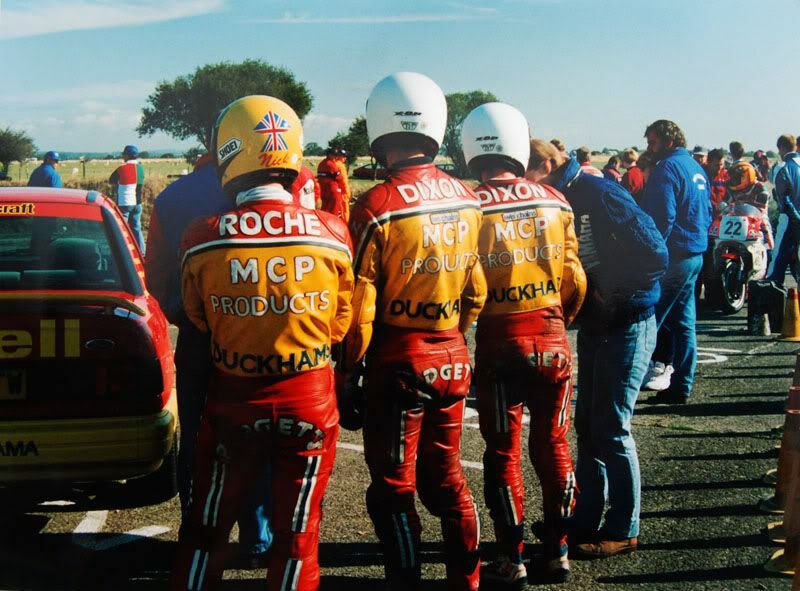 that's them, but I'm sure the bloke was called Steve, I think he had "Ste" written on the back of his helmet. Didn't Mel go over someone's garden wall on the island? Andy Fox and Melanie Barber crashed at Cross Fourways at the 92 Southern 100, first lap of Wednesday night race .Yes Mel went over the wall and was very lucky to only clip the stay wire support for a Manx Telecom pole. Andy beat me into Nobles Intensive care by a day If I remember correctly Andy was going to blow everyone into the weeds till they went out in the first practice. . Steve (Ste) Dobson was from Oulton Park area,his wife or partner was called Liz I think and they were becoming quit competitive when they packed in through lack of cash? Andy Fox rode a Jacobs long bike and Steve Dobson had a long Windle. Thanks for clarifying that Geoff, I'm obviously getting two different couples confused. 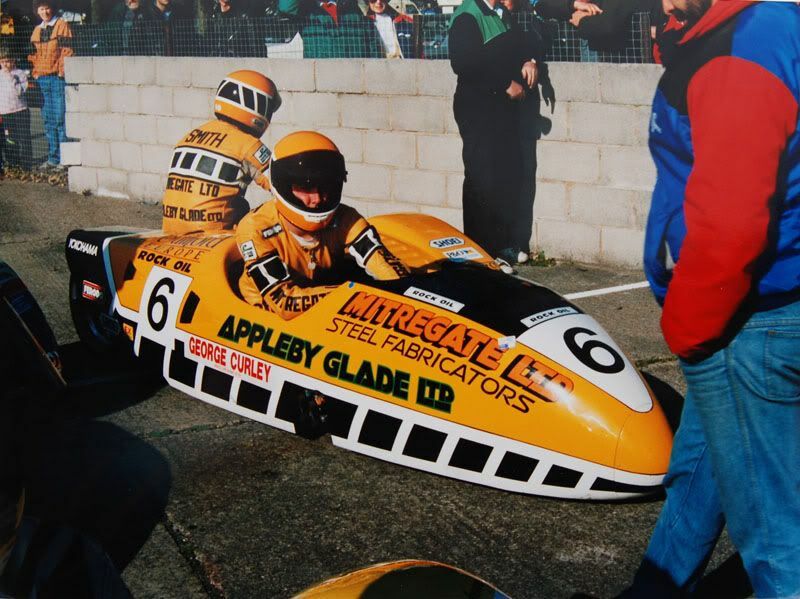 Definatly 1992, Abb is on the new Windle, Dad has the carbon Windle and the Supercup sticker says 1992! Who is the only international champion on the grid? Nick Roche must have been on with Derek Brindley?? 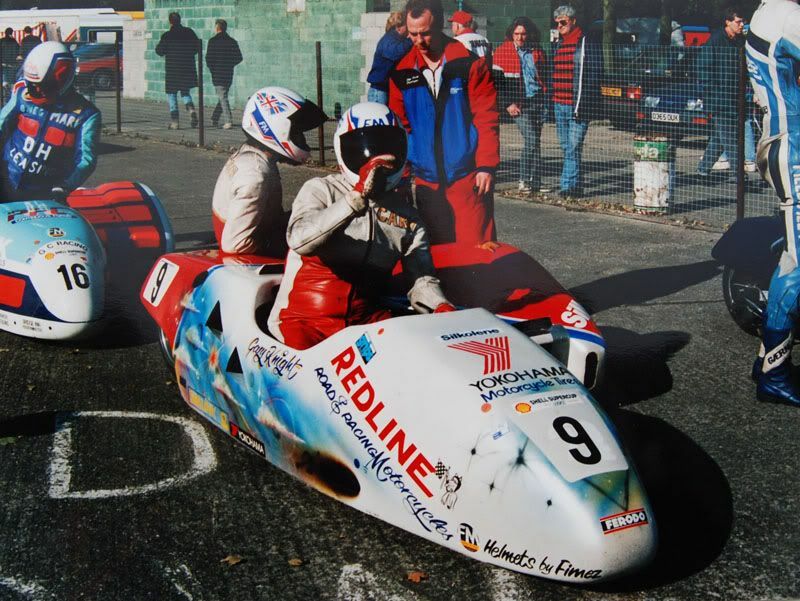 Nick had got to be the most unassuming guy in sidecar racing, what a pity he isn't here.